We currently have two flexible size options in our fleet. Whether you are touring the west coast with a group of friends or just want to get away for the weekend, we have something to help you get away in comfort. 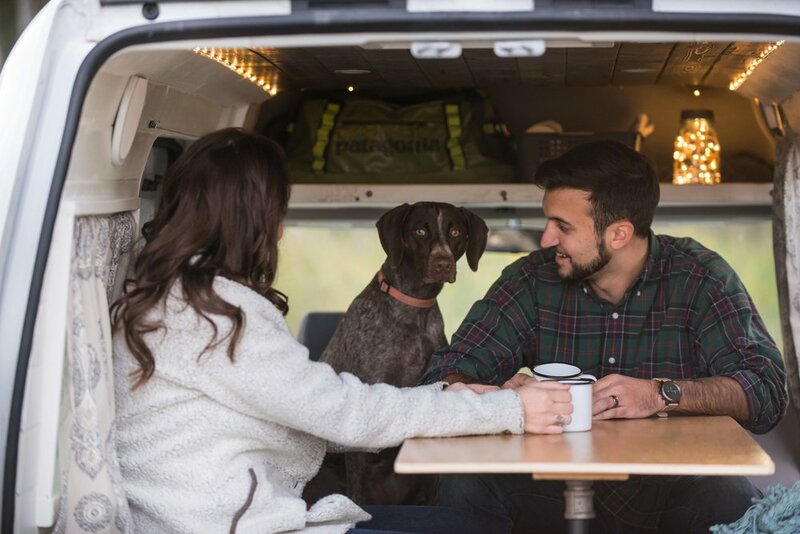 Camper vans are the BEST way to travel and allow you to escape with ease. If you're looking to explore in style, Alison offers a lot of fun in a small package. 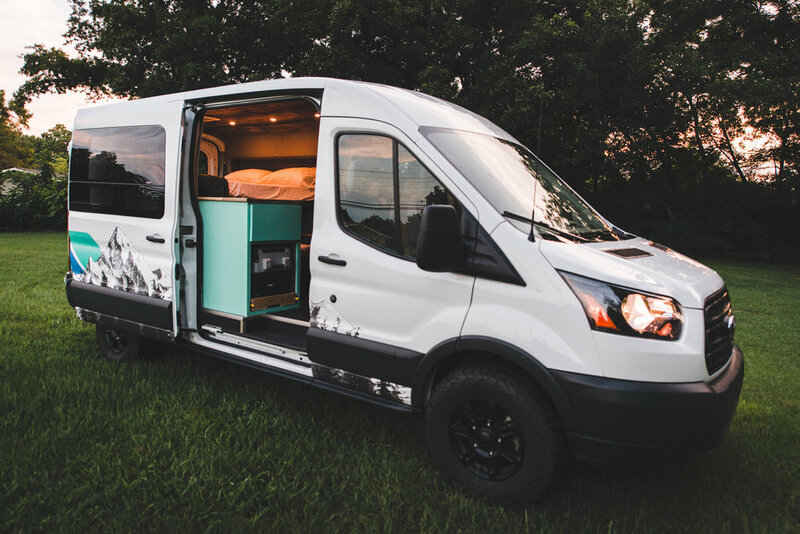 She is a Ford Transit Connect that seats and sleeps 2 people while getting 25+ MPG on the highway so you can explore longer for less. 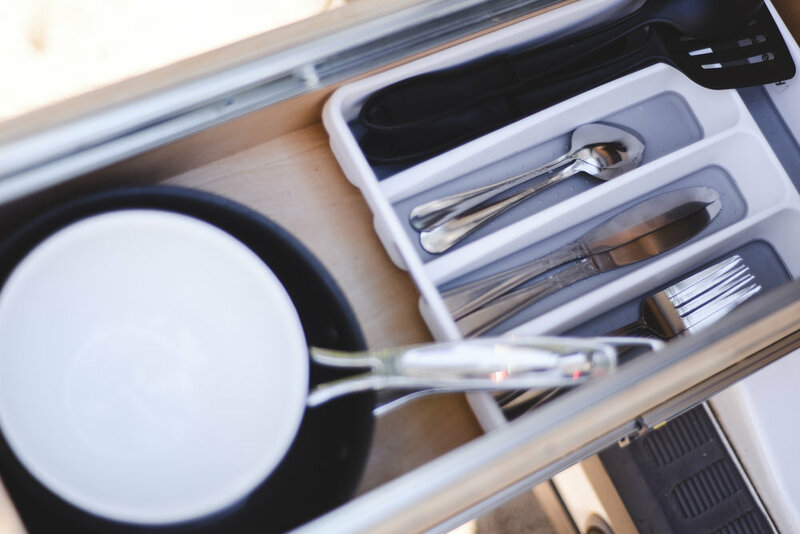 Equipped with a pullout camp kitchen and a bed that converts into a table, Alison is the perfect adventure vehicle. She's easy to drive so getting around town or driving backroads has never been more enjoyable. Wanna be the king of the road? The Mad Hatter is a true home on wheels. Whether you wanna get away with the whole family or explore the US with your friends, the Mad Hatter has room for everyone. 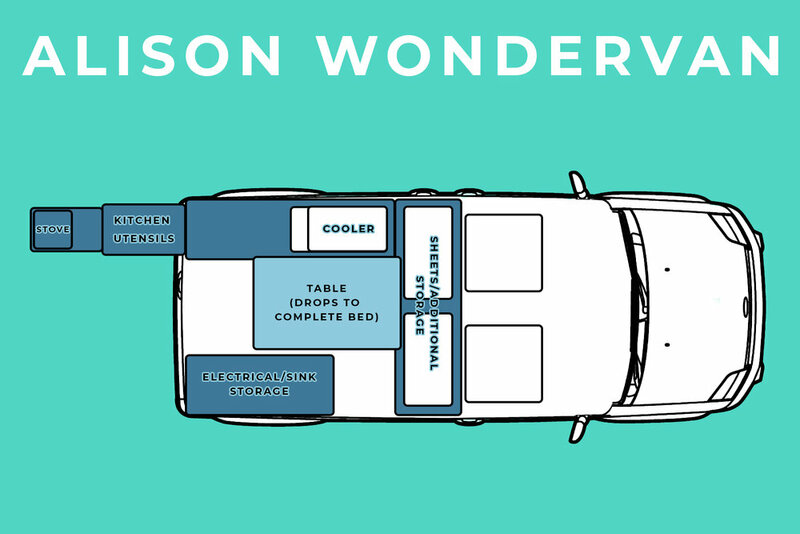 He has 5 seatbelts, two beds and a fully loaded kitchenette complete with fridge. Expect to turn heads.